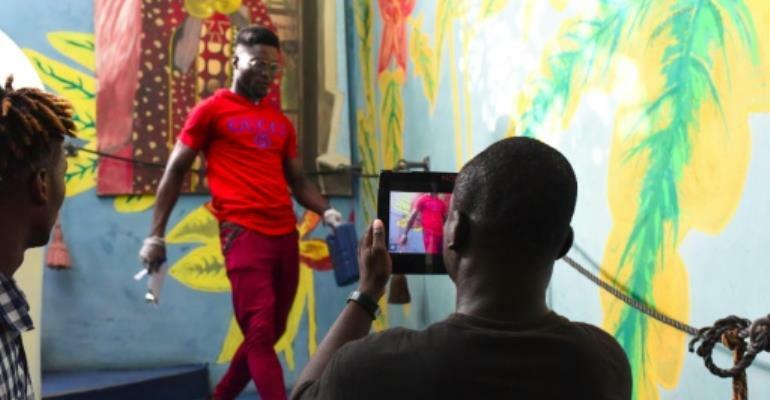 "It's not because you don't have the means that you don't dream," says Guy-Serge Namane, a director at the second Bushman Film Festival, a cornucopia of global smartphone cinema. "Action!," his assistant director calls. "With the telephone, we can communicate but we can also make films and we can even cast the light to make films!" Namane jests. 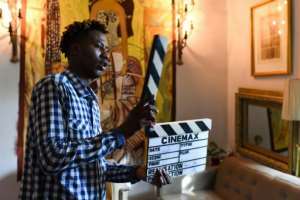 "We want to show people that we can make films even if we, unfortunately, lack the means," Namane said. "Should we stop? We've found ways to be able to express our dreams while waiting on God to give us the means to attract investors." "This is a launch pad. We give a voice to those who have no voice. The goal is not simply to show films and stage an exhibition but to accompany people in producing better films by way of sponsors and prizes. We help others to go into production or be shown on bigger platforms," said festival organiser Princesse Nomo. One of the movies portrayed a crafty, streetwise hustler who used social media to boost the faltering career of a star, even as he divests her of her ... smartphone. "They slog away. They have ideas. We try to channel this energy a little," said professional director Luis Marques, a member of the jury who also oversaw a project to make two films in 24 hours. "We really want to do this," Irie said. "I hope that the film will be watched so that we can move beyond" the chronic lack of resources. 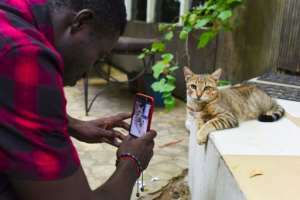 Irie has already acted in several films made with smartphones and hopes she might be recognised. "For an actress, the work doesn't change. You even get used to the mobile phone. At home, we practice making scenes with the phone." "It's funny. It makes a change from what we see on the telly," said Nadia Gohou, who is studying to work in the hotel business. "Sometimes there's a lot of background noise and the picture is not clear like it is on the telly, but that's fine all the same," she added. "There are a lot of ideas drawing on daily concerns, how young people live -- Instagram, the obsession with 'likes' (on social media). We enjoyed it a lot."